In order to create job codes and projects, you will need to create them first. 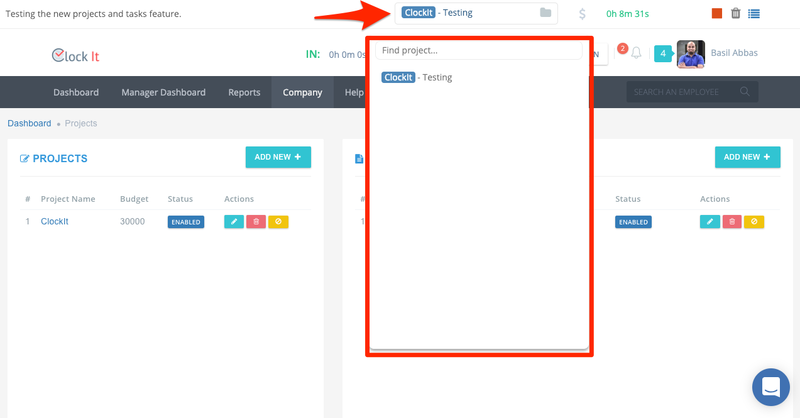 Go to Company > Manage Projects and then click on Add New to create your project. 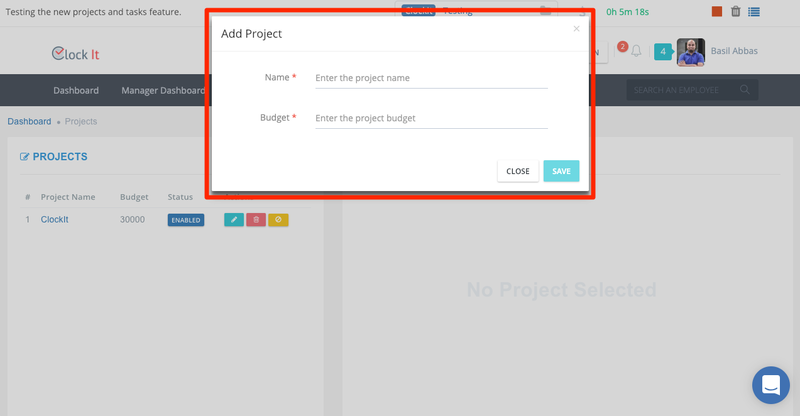 Fill in the project name and a project budget. 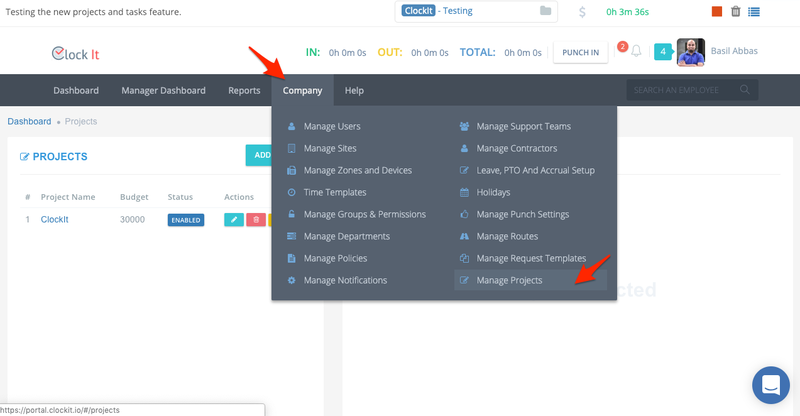 Will use the project budgets to notify you as you and your team log billable tasks against that project and hit save. NOTE: We do not consider the project currency. It is up to you to manage this in the reports. 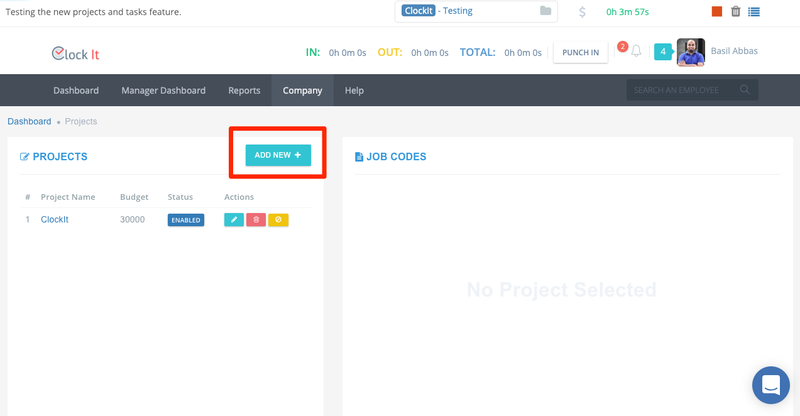 Once done click on the project name and then assign job codes and the users to the project. 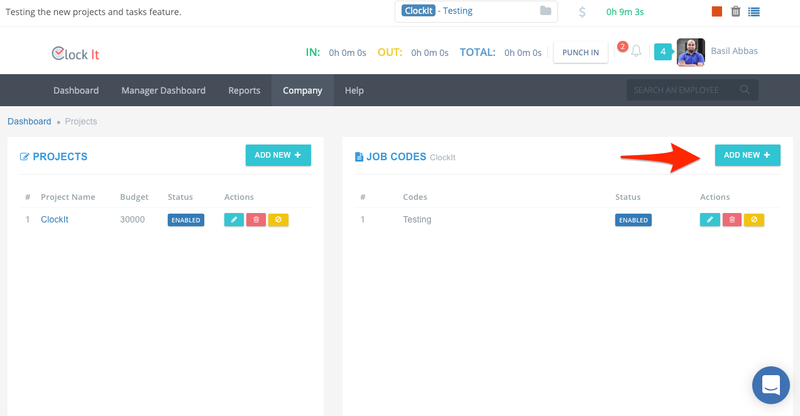 A job code is a code that the user can select at the time of logging a task. This job code along with the project name will appear for the users that are assigned to the project. 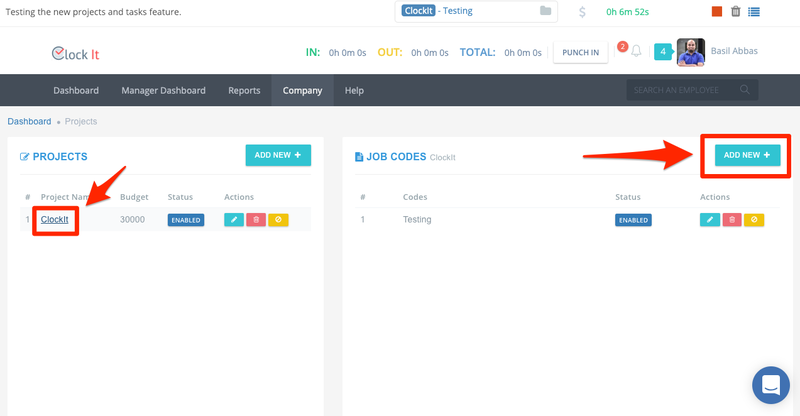 To add a new job code click on add new, enter the job code details and hit save. 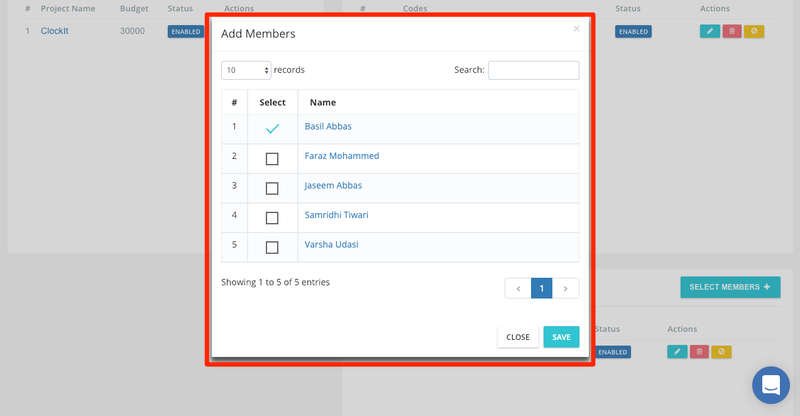 Next you have to assign members of your team to the project. 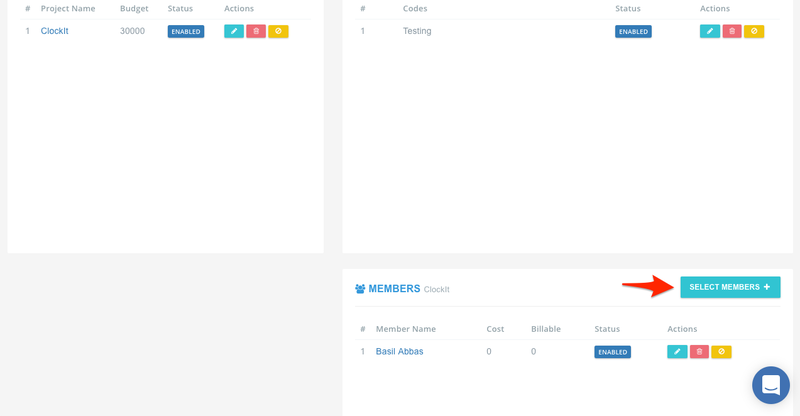 Click on Select Members and select the employees or users that are going to be a part of this project. Employees selected for the project can belong to any site. PRO TIP: Use the search to find users quickly. 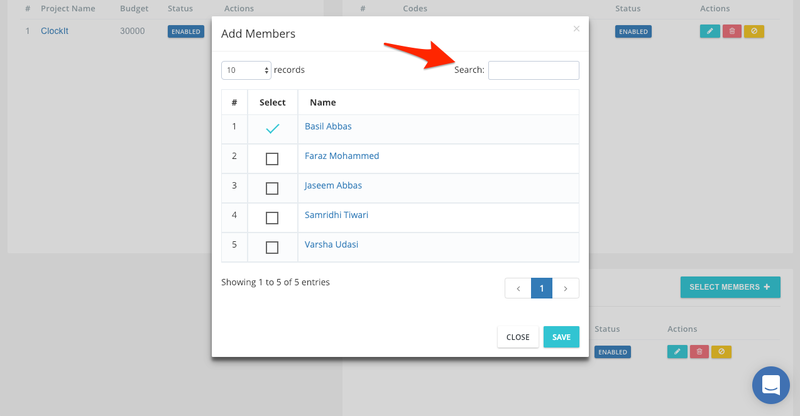 Once done, click save and these users can now log tasks against the project that you created. 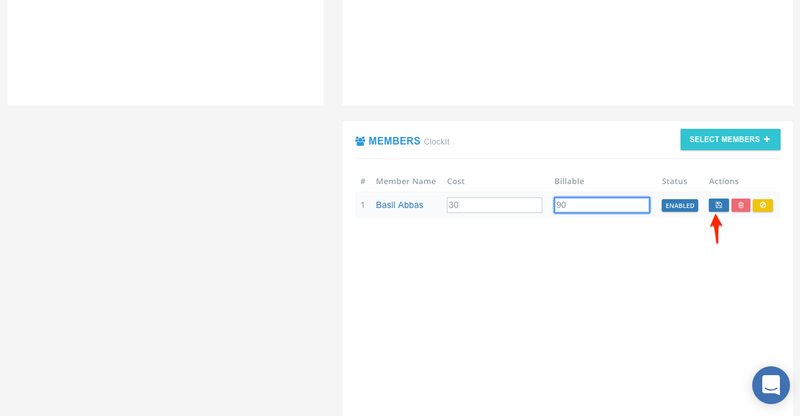 After you add members to the project, you can add costs and billable units/hour to each user. To do this, click on the edit icon and update the unit cost per hour. Once updated, click on the save icon. 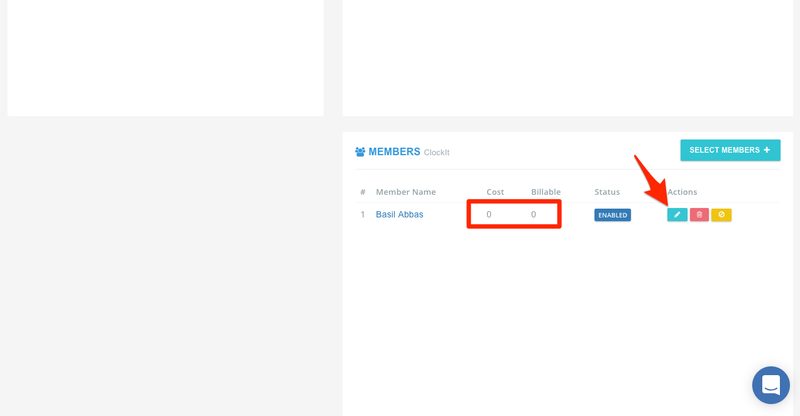 Mark the user active or inactive from the actions icon so that they cannot log any tasks for this project. If you wish to remove the user from the project, click on the delete icon. Removing a user will retain the users hours previously logged but will not be allowed to add any more hours to the project.